I’ve just written my first letter for the month, which was a thank you for a lovely, lovely hand-knitted sweater. There’s something so beautifully personal about things that our hands have touched. I think this is one of the charms to mailing letters. Even if you aren’t writing it by hand, knowing that you touched gives the letter an ephemeral beauty. Meanwhile, we are also creatures of the Information Age, and do like our computers so… I have some new badges for you. Now, if you’re a newcomer, to log your letters, click on the “Fun Stuff” menu and then “What have you mailed today?” Just fill that in once a day with what you’ve sent out. And make sure to check out the badges page for some other fun. And finally, some housekeeping… I’ve just learned that the LetterMo email has been broken since early January. We’re trying to fix it, but bear with me. I’ve attempted to reset the contact form so it goes to my personal email address as a temporary measure. I’m so sorry for the confusion and frustration that’s caused for folks looking for help. I wasn’t ignoring you on purpose. 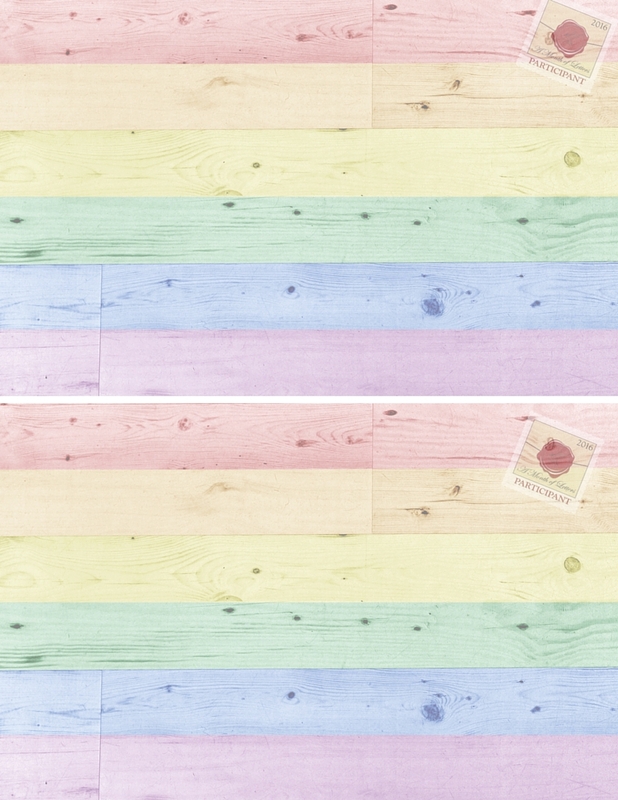 The final housekeeping note– Again, this year, please don’t write to me. There are tons of people that would love to get your letters and I get plenty. I love mail, but the pace that happens in February can get a little overwhelming. So hop into the forums and visit the address exchange board. Several years ago, Tempest Bradford came up with these business cards to tuck into your correspondence. Here’s the updated 2017 version in a couple of formats. 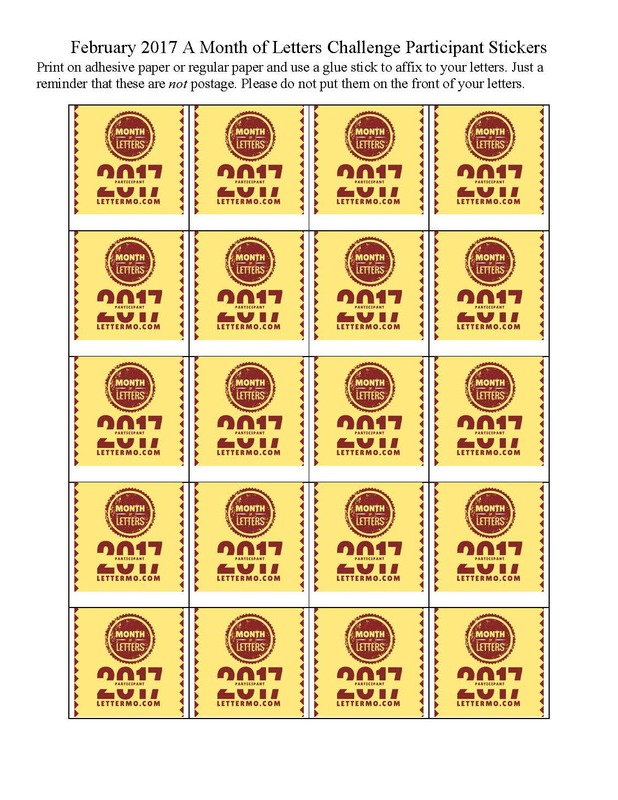 If you want to support the website, and don’t want to bother with the hassle of printing and cutting yourself, you can order them from the LetterMo store on Zazzle. Or… You can download this PDF of the 2017 LetterMo cards and print them out yourself. Let folks know that you’re participating this year with this handy badge! Whew! February is coming up fast. To help you get ready for LetterMo 2017, I’ve put together a planning calendar. 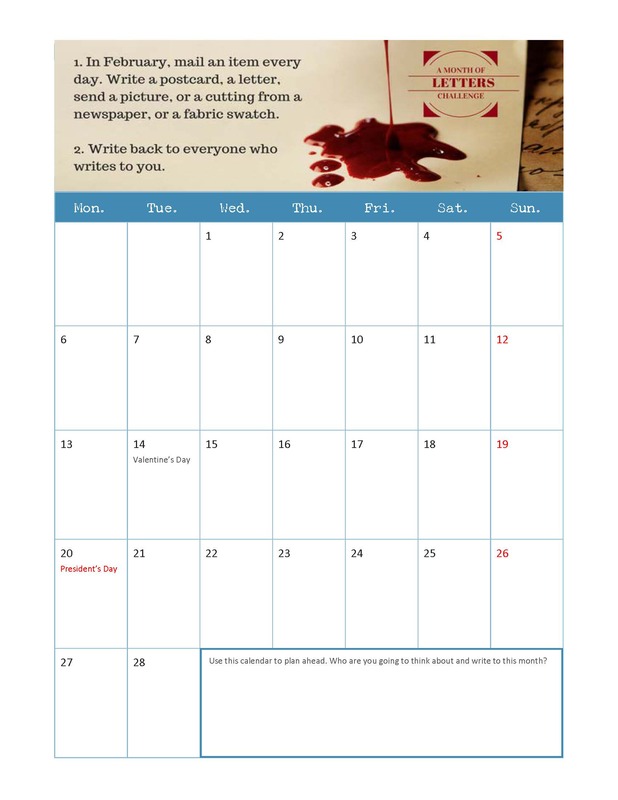 You can use this to make plans about who you are going to write to during the month. Do you have your stationary and your stamps all ready? You and I, we know the power of letters. If there’s ever a time that you are going to write to your representative, this is it. That time you have carved out for a pen pal, take time to write a letter and express your grief that people continue to be murdered because legislators won’t even study the problem. I have my own, very strong views, about actions that our government should take regarding guns. I’m not going to push those on you. But if you are heartsick, know that we, as letter writers, have a power. Letters are taken more seriously than emails or Facebook or Twitter. And to make that easier for you, I have some tools. Your congressperson’s mailing address. Simply enter your address or zipcode. Click on their name to get the mailing address. A template of a letter, which does, indeed, express my very strong feelings. I provide it only as an example because sometimes grief robs us of our words. I am heartsick about the shootings that keep happening. Orlando was the most recent, and largest, but by no means unique. I want my government to make this stop by passing comprehensive gun control laws. When you consider what it takes to own a car, which has other purposes, is it too much to ask that we are as stringent with firearms? While there are legitimate uses for guns, most Americans own them as a hobby and are improperly trained. Any other hobby, with this high of a death rate, would have been banned long ago. Please. Please make sure that there is never another Columbine, or Sandy Hook, or Virginia Tech, or Orlando. Please step up and make this stop. It’s why we elected you. You and I? We understand the power of letters. So please…. Please write a letter today. *I will note that Postable.com allows you to write one letter and send it to multiple addresses. Before writing, simply choose “More options” and then “Carbon Copy.” The letter will look handwritten and they will put it in an envelope and send it to your senator for you. All you have to do is supply the address and the content. Last day of LetterMo — Leap with Joy! 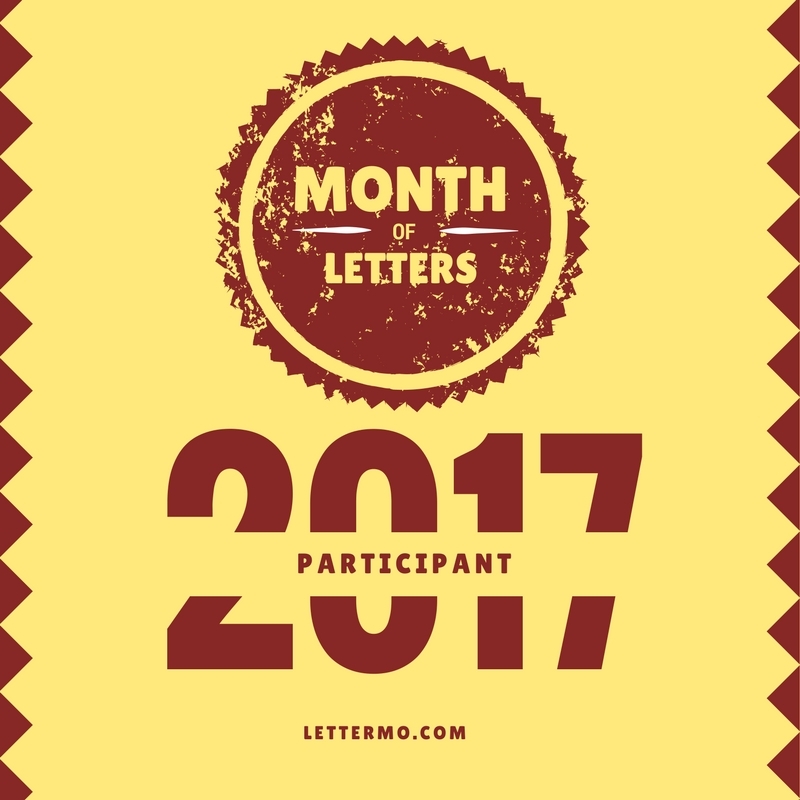 Today is the last day of the 2016 Month of Letters! How did you do? Some of you managed to send mail everyday this month, which is fantastic. That’s at least 24 packets of joy you sent in the mail, and from what I can tell, some of you sent a lot more than that. Make sure you get your Winner badge. Some of you managed only a couple of pieces. I don’t want to hear you say that you “failed” at Month of Letters. This challenge is about making connections and slowing down to think about just one person at a time. Any step towards that is a good thing. You made someone’s day brighter and that can never be considered a failure. So focus on what you did achieve. 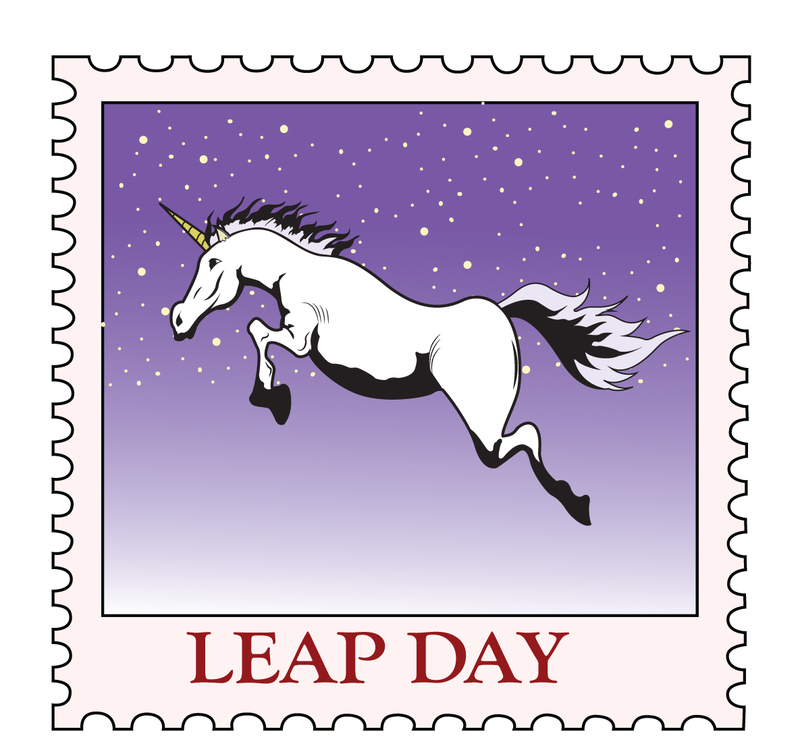 And it is also Leap Day, so… we have a special leap day badge for you. If you take your mail to the post office and ask them to hand-cancel it, then you’ll wind up with the rare February 29th date. So… Since this is all about connections, share the connection that made you happiest.